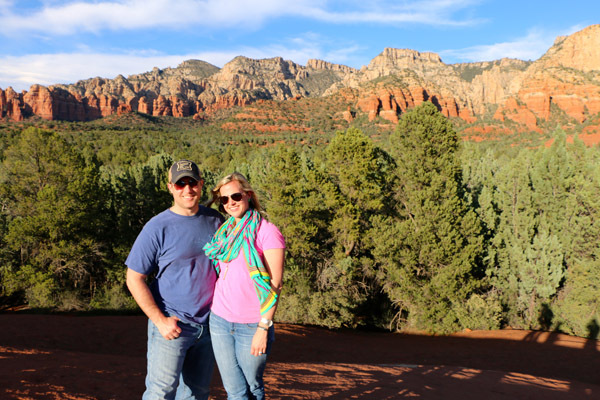 Craig and I took a trip out to Arizona last week in celebration of our 5-year wedding anniversary. 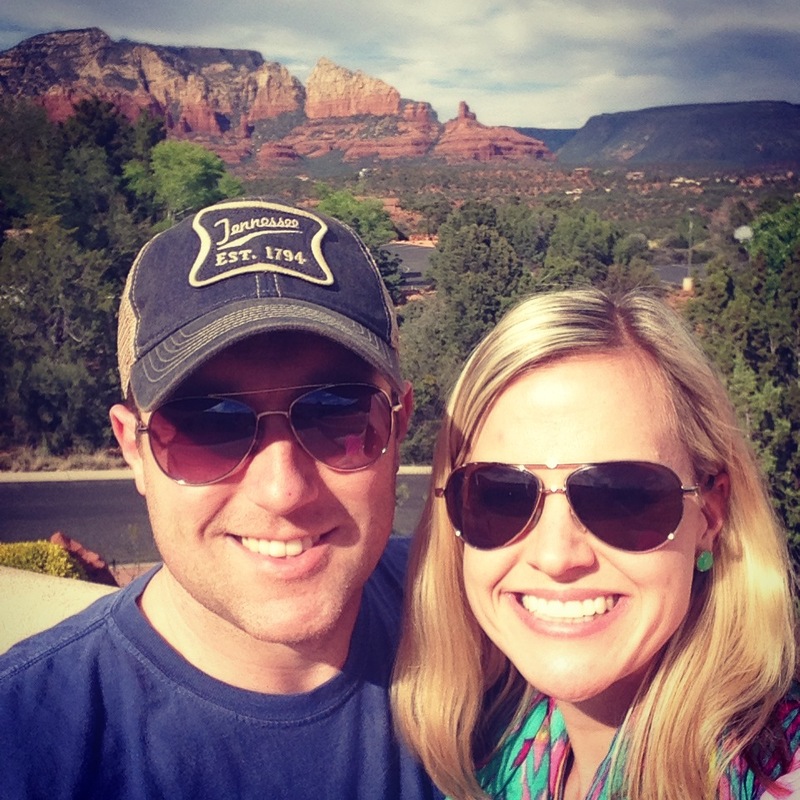 We got married in June, but while researching our trip, I found that it would be well into the 100s by then, so we chose to go a couple months early. 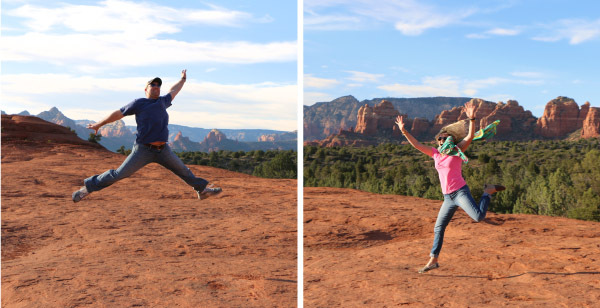 We flew into Phoenix and rented a car so we could road trip it to Sedona, the Grand Canyon, and Scottsdale for 6 days. I took way too many photos (surprise! ), so I’ve broken the trip up into 3 posts. 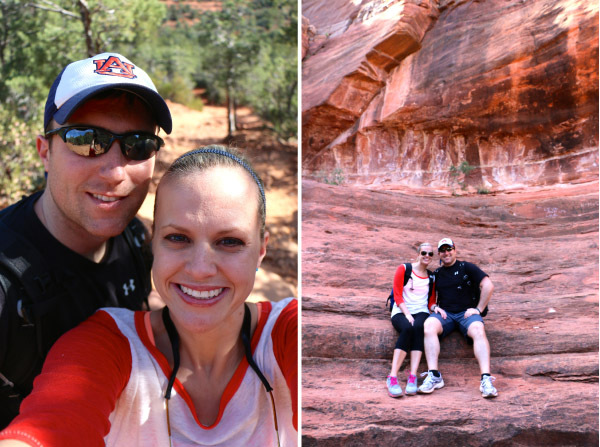 We absolutely loved Arizona. 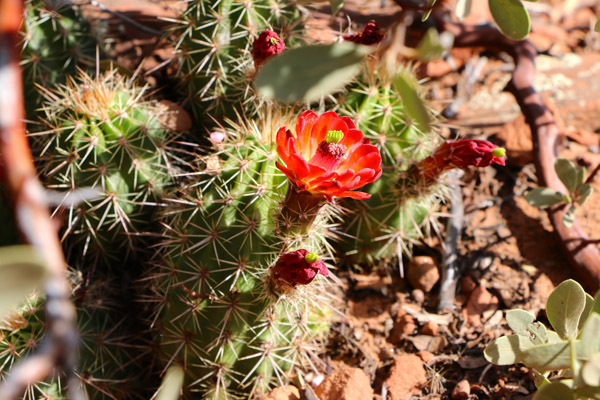 The landscape must have changed a dozen times along our various drives, and I just couldn’t get over all those giant cacti! 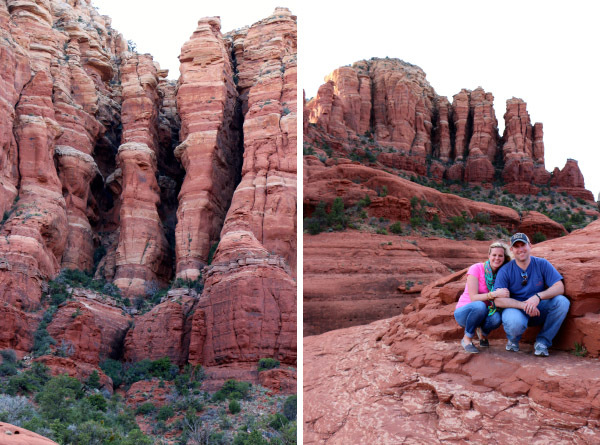 We met so many friendly people, hiked the most gorgeous trails, ate too many yummy things, sang along to approximately 1,000 songs on our drives through the desert and mountains, and I got to check not one, but two, items off my bucket list! It was the perfect way to ring in 5 years with my one and only. 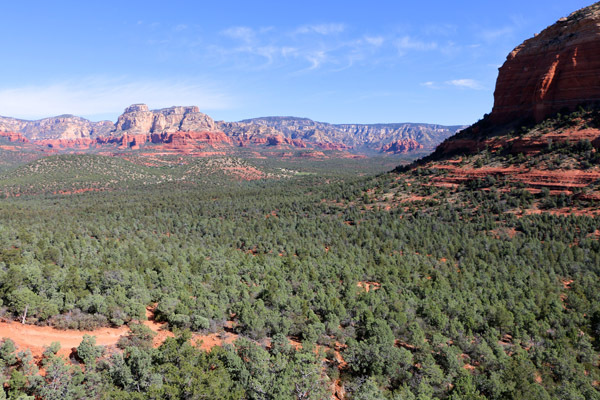 I hope you enjoy our road trip through Arizona! 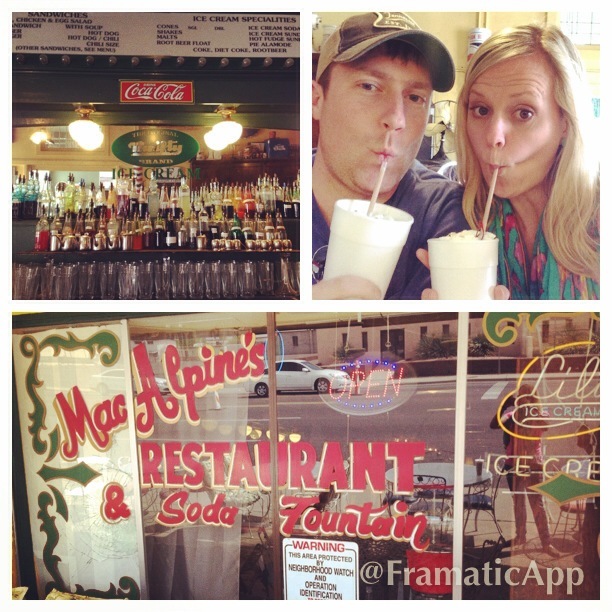 First up, lunch at MacAlpine’s Restaurant & Soda Fountain in Phoenix. It’s a little time warp back to the 50s with a soda fountain featuring too many flavors to count. We sat at the counter and enjoyed lunch and shakes before hitting the road to Sedona. 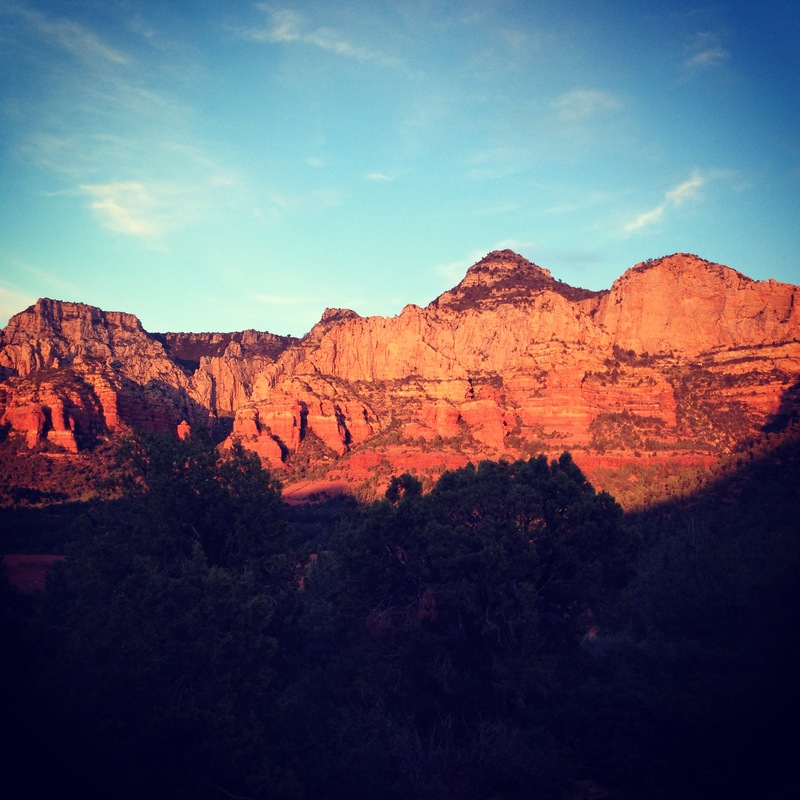 Our view from the Best Western Plus in Sedona — I could not get over that view! I’d highly recommend this hotel, especially for a short stay. 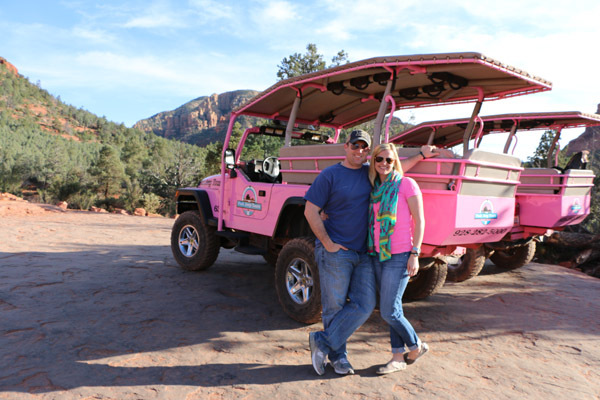 Pink Jeep Tours:: One of our favorite things we did! 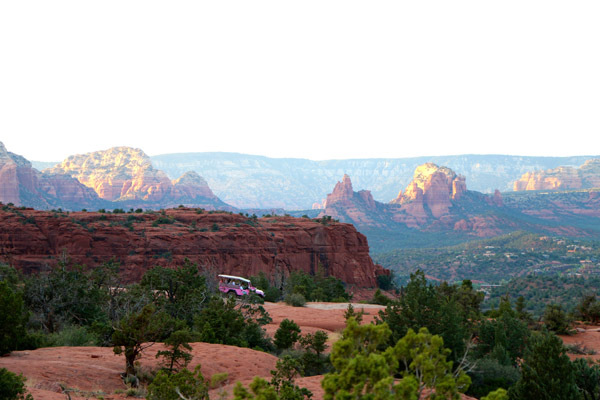 This was recommended by almost everyone we talked to who has been to Sedona, and they were right. 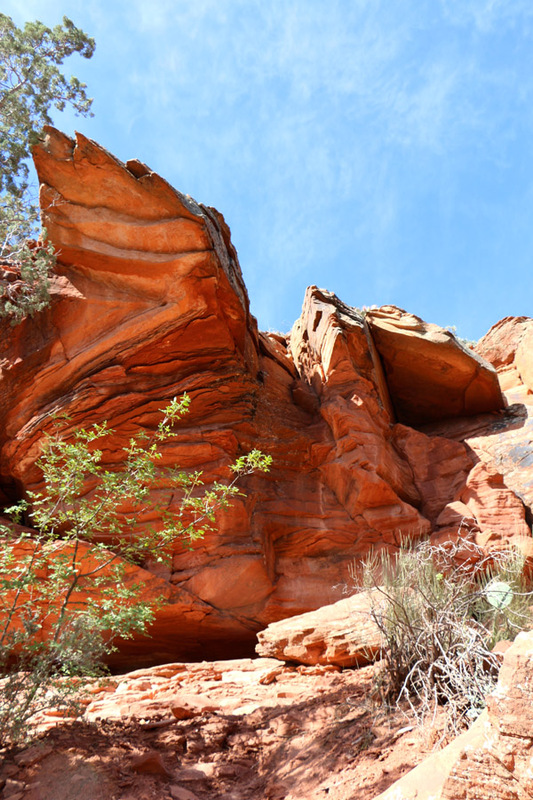 It was the perfect way to get an up-close view of the Red Rocks without having to huff it through the mountains on foot. Our tour guide was awesome — just enough interesting info and funny jokes — and he was a very experienced driver, which is important when driving up and down 45-degree inclines and HUGE rocks. I would have had that jeep upside down in no time. 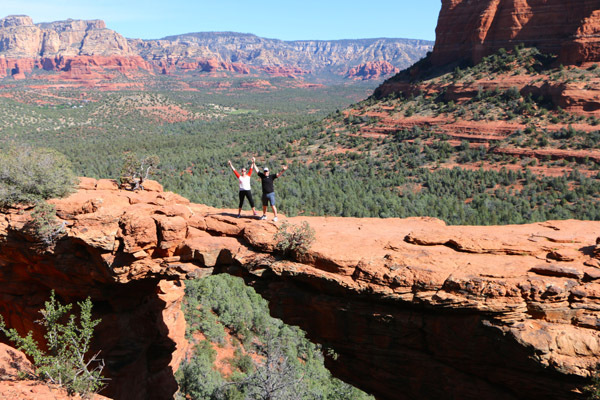 We were up bright and early the next morning to hike Devil’s Bridge. 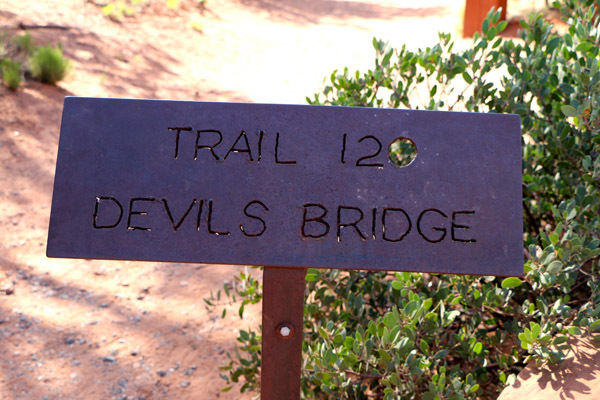 Our neighbors recommended that trail, and it was another of our favorite activities. 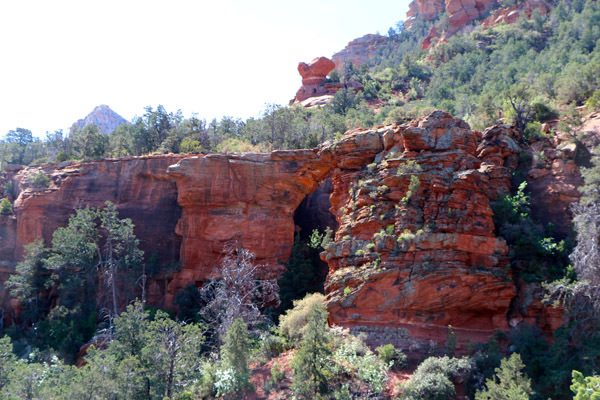 The views were unmatched, and the trail was really fun to hike. The drive into the trailhead, however, was not for the faint of heart. 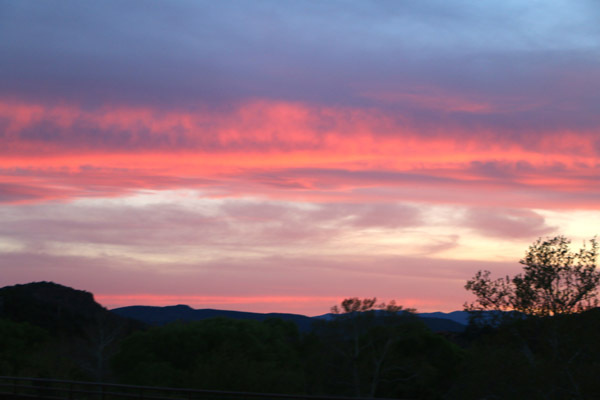 I was wishing we had that pink jeep from the day before…. and I’m surprised we didn’t completely break our rental suv in the process. Those “roads” are no joke! We even ended up picking up a nice older Canadian couple on the drive out from the trailhead because they’d accidentally walked the wrong way to their car. They in turn gave us their Grand Canyon Park pass, which saved us $25! Karma, people. 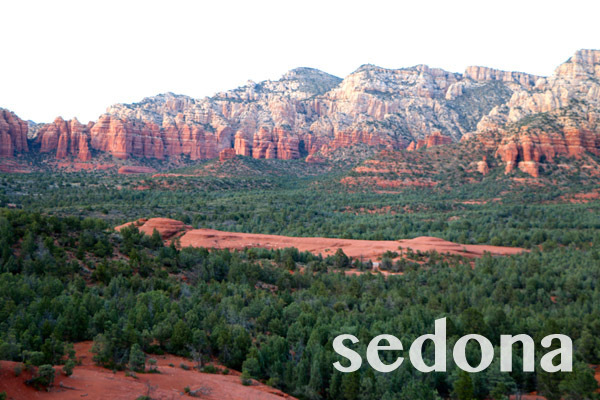 The town of Sedona is so cute. It was a sort of random addition to the trip itinerary, but I’m so, so glad we visited. 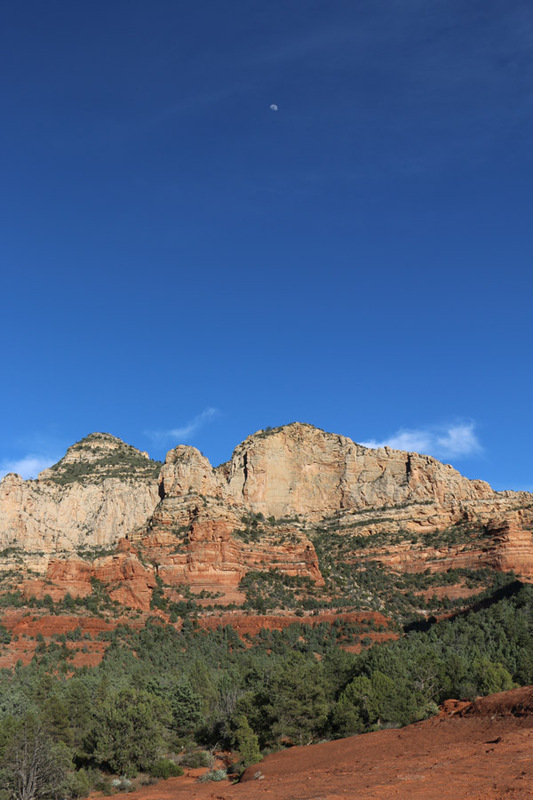 Nice people, lots of restaurants, great hiking, too many palm readers and “crystal” shops to count, and unparalleled views of the Red Rocks. It ended up being the surprise favorite for both of us!